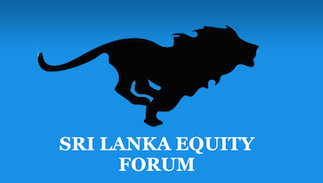 Sri Lankan billionaire Dhammika Perera controlled Hayleys group owned Hunas Falls Hotels PLC said in a disclosure to Colombo Stock Exchange (CSE) that Hayley’s subsidiaries Amaya and Carbotels owned entire shareholding in the hotel amounting to 3,723,820 voting shares (nearly 66.20% stake) will be sold for over Rs. 696.35 million to Serenity Lake Leisure (Pvt) Ltd.
Disclosure said that the two companies owned by Hayleys, Amaya Leisure PLC has 899,000 shares and Carbotels has 2,824,820 shares of Hunas Falls Hotels PLC and had entered into a Share Sale Purchase Agreement on 11th January 2019 (Friday) to sell their entire stake at Rs. 187 per share totaling to over Rs. 696.35 million to Serenity Lake Leisure (Pvt) Ltd.
Hunas Falls Hotels PLC’s iconic property Hunas Falls Hotels is well known in Sri Lanka as famous honeymoon and romantic hotel. According to latest financials of the company (Latest Annual Report 2017/2018) the hotels property has 19 acres, 3 rood and 21 perches totaling to nearly 3181 perches and it states that a perch is valued at Rs. 20,000 making the total property value at Rs. 63.62 million. The Stated Capital of Hunas Falls Hotels PLC as at 30th September 2018 is Rs.82.5 million (30th September 2017 - Rs. 82,500,000/-) comprising 5.625 million fully paid Ordinary shares (30th September 2017 - 5,625,000).